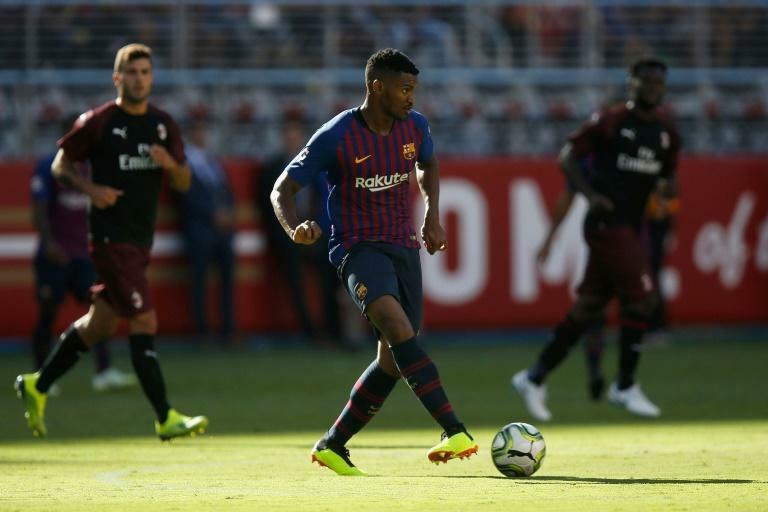 Barcelona and Brazil defender Marlon completed a move to Serie A side Sassuolo Thursday on the eve of the closure of the transfer window in Italy. The 23-year-old underwent a medical with the side from Modena agreeing a five-year deal worth 12 million euros ($13.6 million). Sassuolo will pay six million euros now and a further six million more if the Brazilian plays 50 games for the club with the Catalan giants retaining a buy-back option and 50 percent of any future fee. The former Brazil Under-20 international, who spent last season on loan at Nice, could make his Serie A debut at home to Inter this Sunday. Arsenal goalkeeper David Ospina joined Napoli with Villarreal's Samu Castillejo and Genoa's Diego Laxalt completing medicals at AC Milan among a late flurry of action before the transfer deadline. Colombian international Ospina's arrival comes amid criticism from fans at the lack of spending by new coach Carlo Ancelotti's Serie A runners-up compared to champions Juventus who splashed out 100 million euro ($117 million) to bring Real Madrid superstar Cristiano Ronaldo to Turin. Juventus top the summer spending with 235 million euros ($265 million) invested in new players -- more than double rivals AS Roma and Napoli -- as Serie A clubs have already spent more than a billion euros, second among the top five European leagues behind the big-spending English Premier League. Ospina -- who had fallen out of favour in London after the signing of Bernd Leno from Bayer Leverkusen -- will cover for Meret, who broke his arm in training last month. Gennaro Gattuso's AC Milan have had some late signings with Chelsea midfielder Tiemoue Bakayoko, Laxalt and Castillejo arriving at the San Siro. At city rivals Inter Milan, hopes of signing Real Madrid's Croatian international midfielder Luka Modric are fading, with Roma's Radja Nainggolan and Argentina striker Lautaro Martinez among the big summer arrivals. "We did what we wanted, we moved quickly to have the squad straight away, then we continued to monitor the market for opportunities," explained Roma sporting director Monchi at Nzonzi's presentation at the Stadio Olimpico on Thursday. "I'm happy, even if you can always do better. "We are not a team that sells only, we are the club that spent the third most. I've never had a "no" from the club management for the players I wanted. "We have the ambition and a plan to take Roma as high as possible."